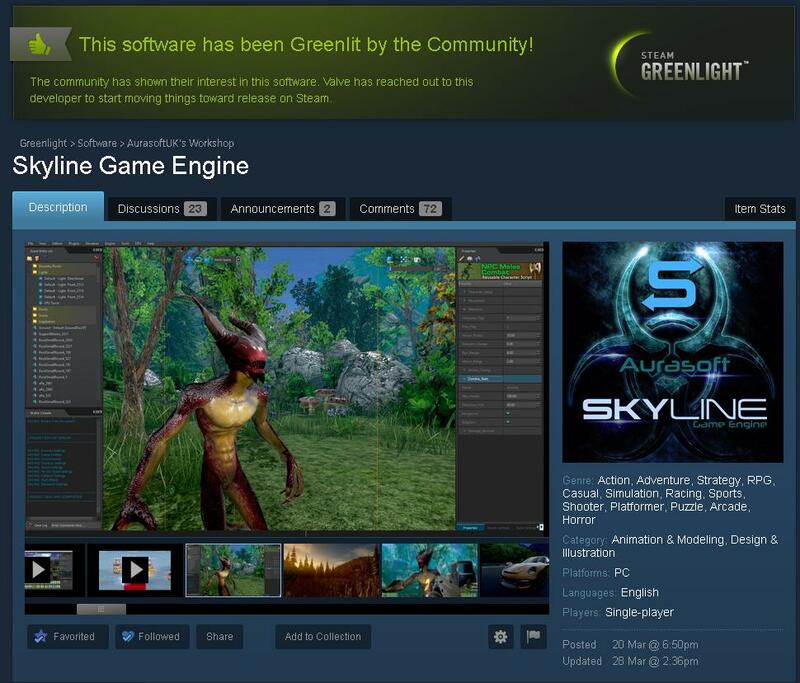 We are proud to announce that the Steam Green Light campaign has been successful and we are now greenlit and ready to proceed with setting the engine up to go on the steam store. We were also greenlit in only 8 days which in our minds is an impressive time to be greenlit in. This has been a great milestone for the development and after years of hard work and listening to the community want and needs, we pride ourselves on getting constructive feed back from our community that is helping for us to develop the engine for the development community as a whole. Now that we are Greenlit we have set a date for the Steam release to be Mid-Late 2017(more to come on this), this will give us time to get all of the features back into Gen2 that we had in the 1st generation and create a stable platform for game development and more. 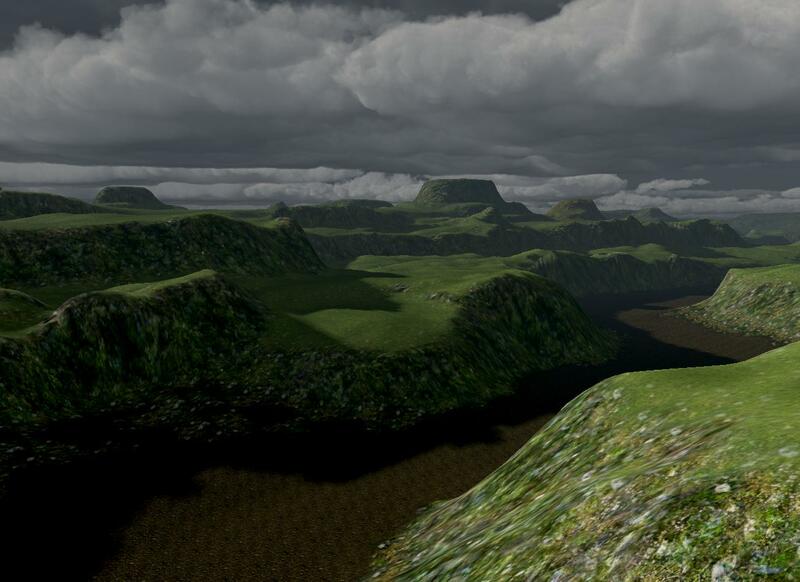 As a reminder to all that have purchased the Skyline game engine, you are able to join the Private Alpha testing phase of development for Gen2. 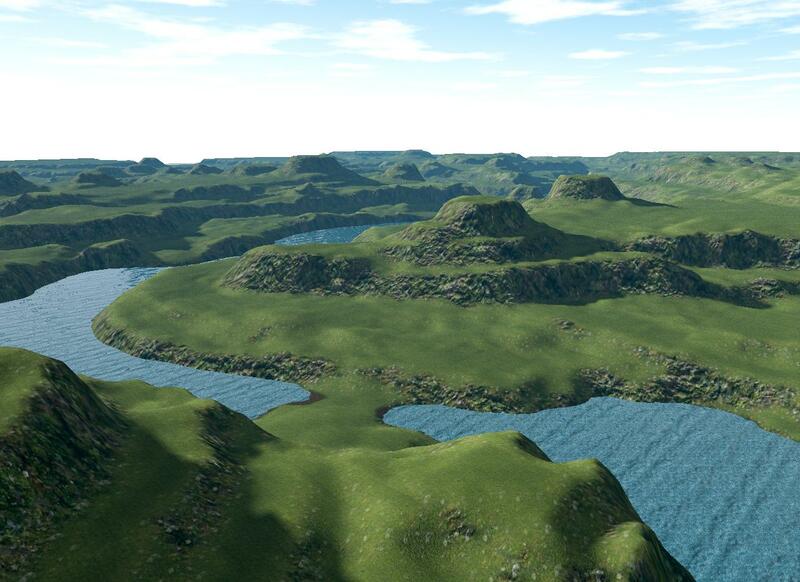 As of Friday last week on the latest code freeze we have the first real usable terrain ready for private alpha testing, we want the new version to outshine the 1st generation of Skyline and offers large worlds e.g. 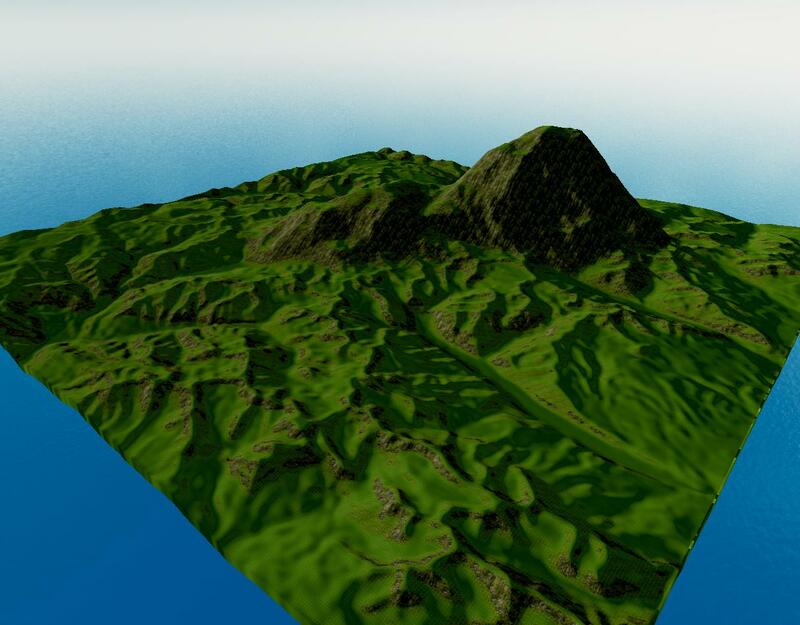 20km x20km x 4096 vertex resolution terrains, physics, terrain manipulation brushes etc. There is still some work to do on the system but that will come very soon as we continue to develop the engine. The GUI editor has had the ability to drag and drop containers etc making it into a visual GUI editor, this is designed to be a as simple as humanly possible for new and existing users to quickly create HUD's and GUI's for your projects (games), creating a very fast workflow that will aid you in development. Lua API functions for the GUI are exactly the same as they have been using the gui.library(). Please see the API for more information. The new game objects system has gained more objects and functionality such as locked doors that require keys to open, entering and exiting vehicles etc etc..
We have released a few videos showing how fast the new game object system workflow is now. 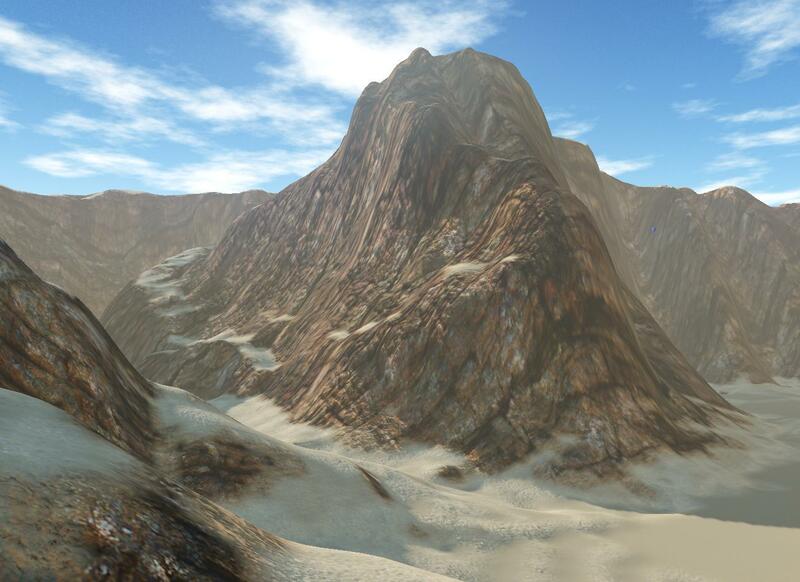 This also shows the new objects you can expect to see and use to speed up your game development. DLC is planned in for expansion of the Game object system including more trees, rocks, zombie packs, weapon packs and other assets, plus other player types such as 3rd person players, melee combat with new models and animations. These are all so you can get creative and develop from the get go. Please note that this system is not closed and any user can create/expand their game object toolsets and libraries to create an infinite variation for your projects!